Elias Carpenter Weekes was born on 13 July 1809 in London, the youngest son of John Weekes, a naval shipwright at Chatham Dockyard, and his wife Elizabeth, nee Orton. About 1830 he married Margaret (d.1839), the daughter of Dr. W F Wye, at Newington Butts, London. He died at his home at 24 College Street, Sydney on 5 August 1881, survived by two sons and three daughters, and was buried in the Church of England section at Rookwood. Elias Weekes migrated to New South Wales about 1837 with his wife and family. He was employed initially by the wealthy landowner Thomas Burdekin in his ironmongery business and in 1842 became proprietor of the Travellers’ Rest Inn on the Murrumbidgee. From 1844 he had a house in Brisbane Street and was in business as a wine importer with John Holdsworth. By 1855, he had established his successful ironmongery firm EC Weekes & Co in partnership with his son Charles. Weekes was the Auditor of the Bank of New South Wales in the 1850s and a Director in 1863, 1866-68, and 1869-75. He was Chairman of the United Insurance Co. Ltd. and a Trustee of the Savings Bank of New South Wales. He was an active committee member of the Sydney Mechanics’ School of Arts and was a member of the Australasian League for the Abolition of Transportation. He was also Vice-President of the Australian Library and Literary Institution, a member of the Hyde Park Improvement Committee, and was on the first Sydney Club committee. Weekes represented Northumberland Borough in the NSW Legislative Assembly from 9 April 1856 until 1859. He stood for West Maitland from 11 April 1859 to 10 November 1864. In 1857 and 1858 he was a member of the Elections and Qualifications Committee. He was Colonial Treasurer from April to October 1859 and again from September 1860 until his resignation due to failing eyesight in March 1863. He was a member of the Legislative Council from 24 October 1865 to 24 November 1880. Elias Weekes was Councillor of the Sydney City Council from 4 November 1850 until 31 December 1853 when the Council was replaced by a three-member Commission. 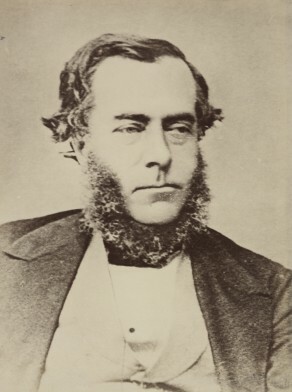 R. W. Rathbone, ‘Weekes, Elias Carpenter (1809–1881)’, Australian Dictionary of Biography, National Centre of Biography, Australian National University, http://adb.anu.edu.au/biography/weekes-elias-carpenter-4826/text8051, accessed 23 November 2012.